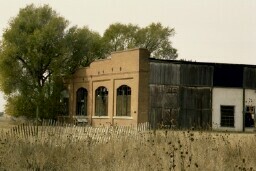 Listed on the State Register of Historic Properties, the Union Pacific Railroad roundhouse was constructed in 1909 to service engines on the Kansas-Pacific Railroad. 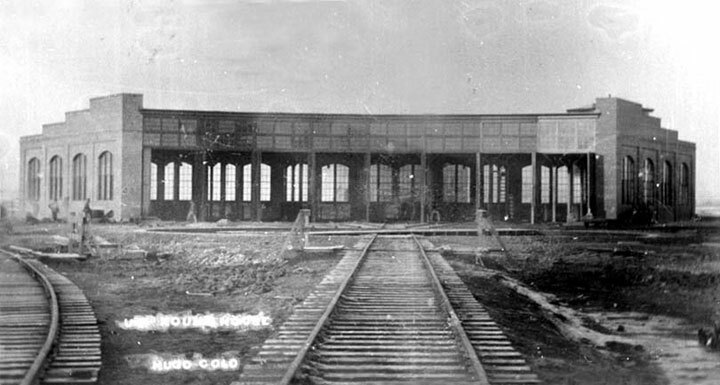 It is one of only four historic roundhouses in Colorado, and is the only brick-constructed roundhouse in the Union Pacific inventory. Roundhouse Preservation, Inc., the nonprofit formed by concerned local citizens to develop and implement a preservation plan for the Roundhouse has produced a great deal of progress and success in recent years. 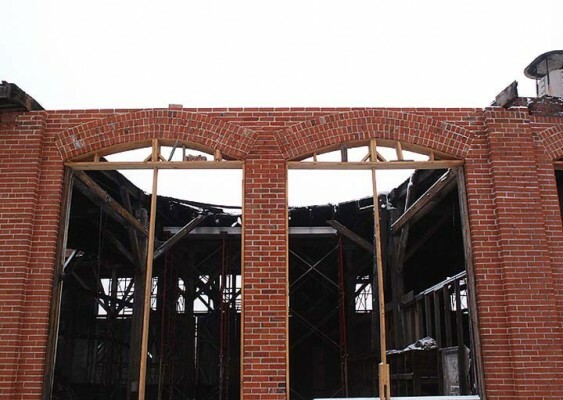 Even after strong winds toppled nearly the entire north wall, insurance funds were fortunately available to complete a high quality masonry reconstruction. Due to an ongoing cooperation between Roundhouse Preservation, Inc. and the Colorado Department of Transportation, the Roundhouse was selected to receive $555,000 in federal stimulus funds from the American Recovery and Reinvestment Act of 2009 for the rehabilitation of the entire roof structure. Restoration of the windows and doors started in 2016 with funding from the State Historical Fund, the Gates Family Foundation and CDOT. Future plans focus on reusing the Roundhouse as a museum and community meeting space. For their continued dedication and efforts, Roundhouse Preservation, Inc. was awarded the Endangered Places Progress award at CPI’s 2016 Dana Crawford and State Honor Awards Celebration. New windows have been installed and they continue to acquire items for the new museum tied to its railroad heritage. The site still needs funding, but is coming along well.